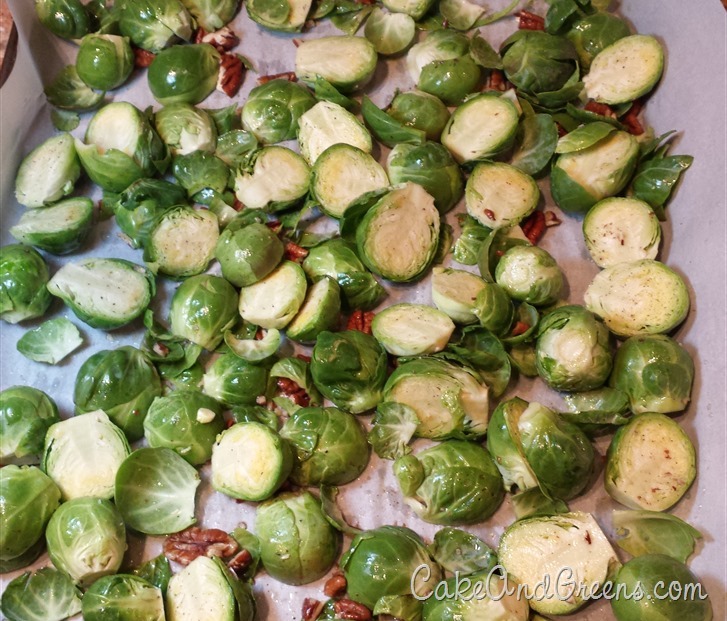 Not a Brussels sprouts fan? Let me tell you, I’d only ever taken the required single bite at special holidays these last 30-odd years of my life, until I saw this recipe and just KNEW that it was my ticket to Brussels sprouts enjoyment.. and hey, I was actually right! I’ll eat a plate full of these now! I’m not even exaggerating! Tonight when I made them, they were sitting out still, and I kept going back for more to snack on. They’re like the gateway to any other Brussels Sprouts that might get thrown in your path. With Thanksgiving coming up, these are a perfect clean option. 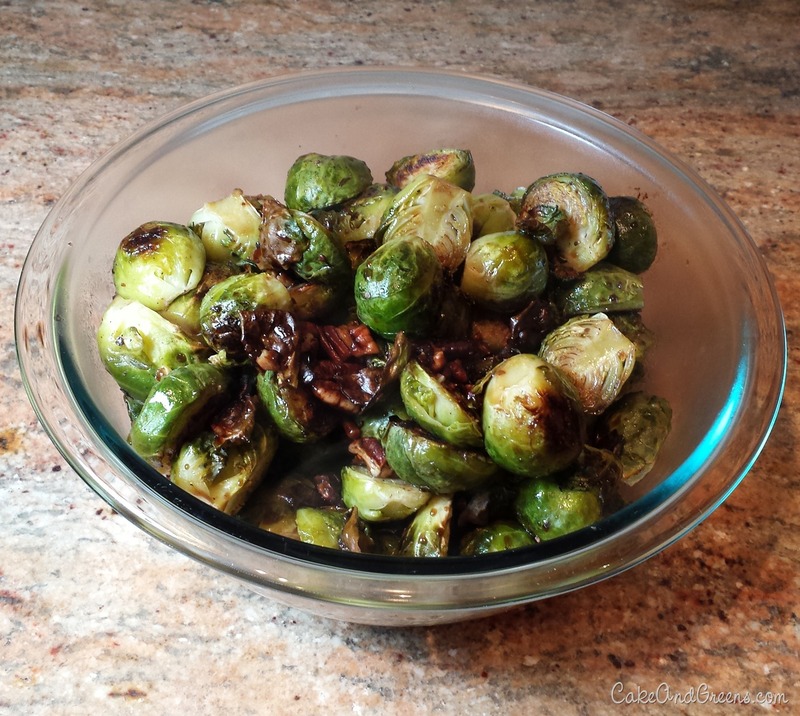 The maple syrup and balsamic vinegar add some tangy sweetness, and the pecans add some crunch. I’ve also been known to toss in some dried cranberries. 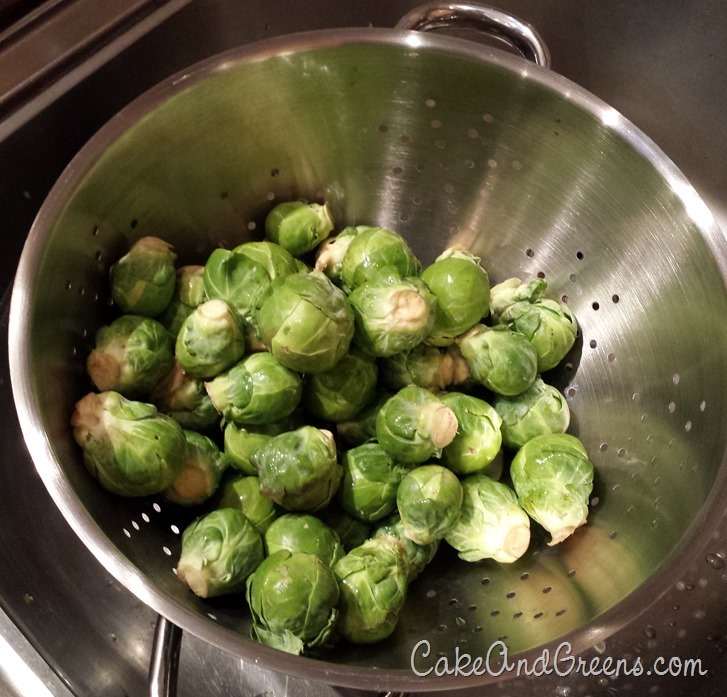 I washed up the lovely little Brussels Sprouts – I had just under 2 pounds. I trimmed off the ends, and cut the bigger ones in half. 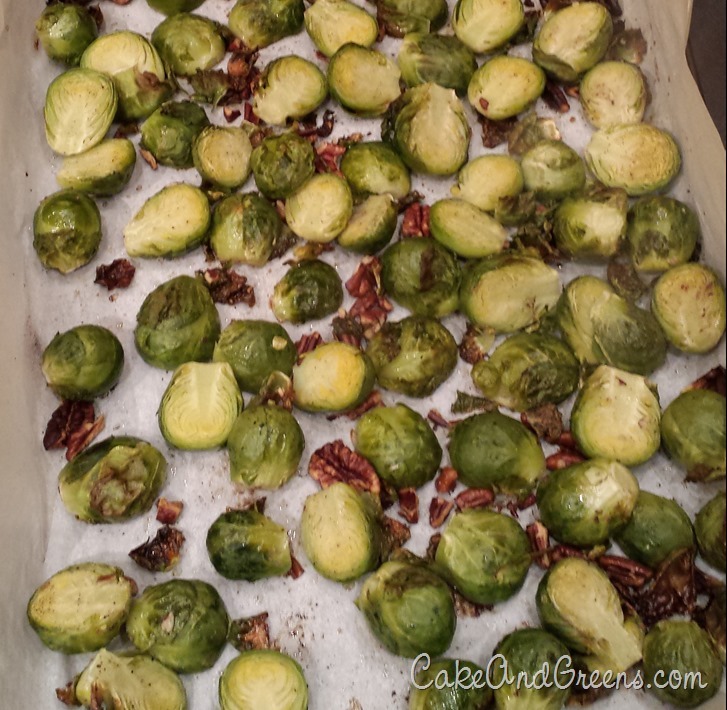 I tossed them along with 1/4 cup chopped pecans and 1 Tablespoon Extra Virgin Olive Oil, salt, and freshly ground pepper. I popped them into a preheated 450F oven, and baked for about 20 minutes, until I saw some nicely charred bits. 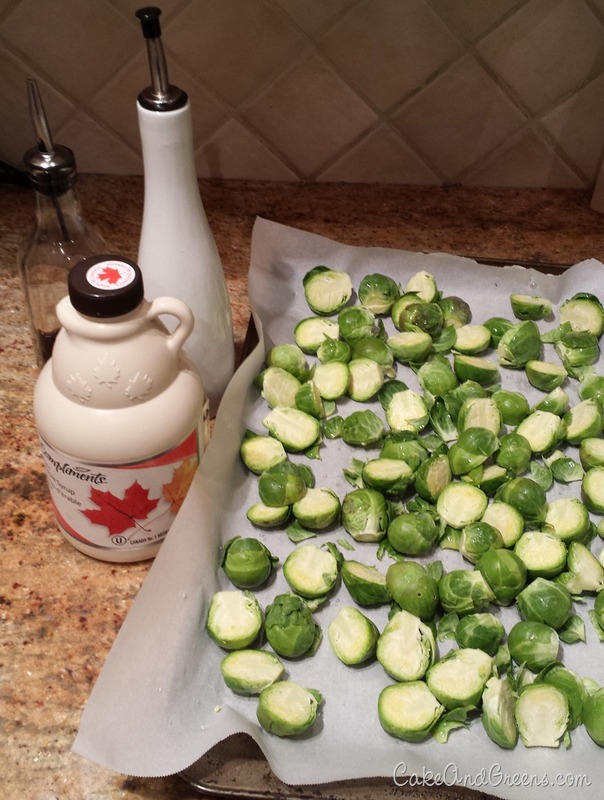 I stirred up my 2 Tablespoons of balsamic vinegar and 3 Tablespoons of maple syrup, then tossed the lot together. I served them immediately. YUM! I preheated the oven to 450F. 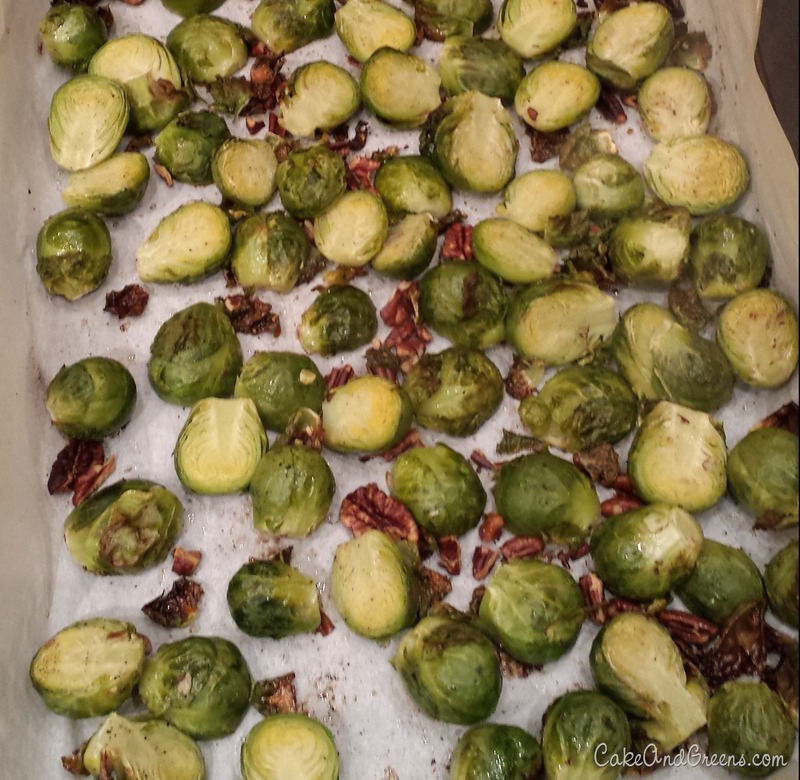 On a parchment lined baking sheet, I tossed together the Brussels sprouts, pecans, oil, and salt and pepper. I roasted them for about 20 minutes, or until I saw some nice charred bits. 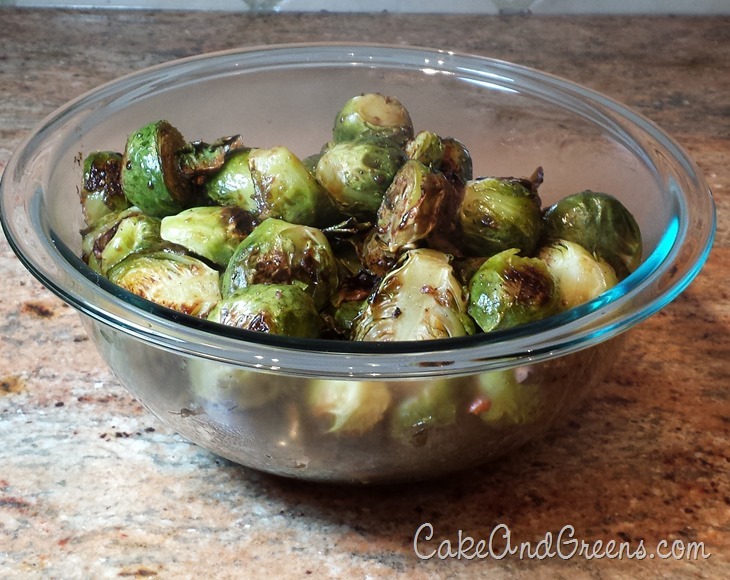 I pulled the sprouts pan out of the oven and tossed them with the vinegar/syrup mixture, and served right away.